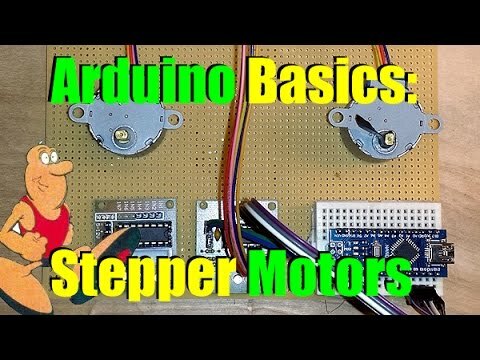 Read Arduino Basics Intro to Stepper Motors #Arduino via Adafruit Industries – Makers, hackers, artists, designers and engineers! In this video we take a look at very low-priced, but still very popular stepper motor, the 28BYJ-48. This 5V stepper is very useful in low-torque and medium torque applications where precise positioning is required. We are using the ULN2003 driver IC to control the board along with the “Cheap Stepper” library. You can download Cheap Stepper here:https://github.com/tyhenry/CheapStepper.